The Netherlands has sold 15 additional fighter jets to Jordan in 2013. The first batch of six ex-Dutch F-16s was delivered to Royal Jordanian Air Force on Oct. 25. Netherlands and Jordan in 2013 agreed to transfer 15 Royal Netherlands Air Force (RNLAF) F-16s to the Royal Jordanian Air Force (RJAF) following the delivery of six former Dutch jets in 2009. The fighter jets were transferred from Volkel to Al Azraq by Jordanian pilots. Along the route they did two fuel stops at Aviano AB, Italy, and Souda Bay AB, Greece. The aircraft delivery was initially scheduled for 2015, but it was postponed twice due to Jordan's request for Mid-Life Update (MLU) standard. The remaining aircraft will be transferred in the coming weeks. In February 2007, the Belgian authorities also finalized the sale of 14 F-16 (12 F-16AM and 2 F-16BM) fighter jets to Jordan. 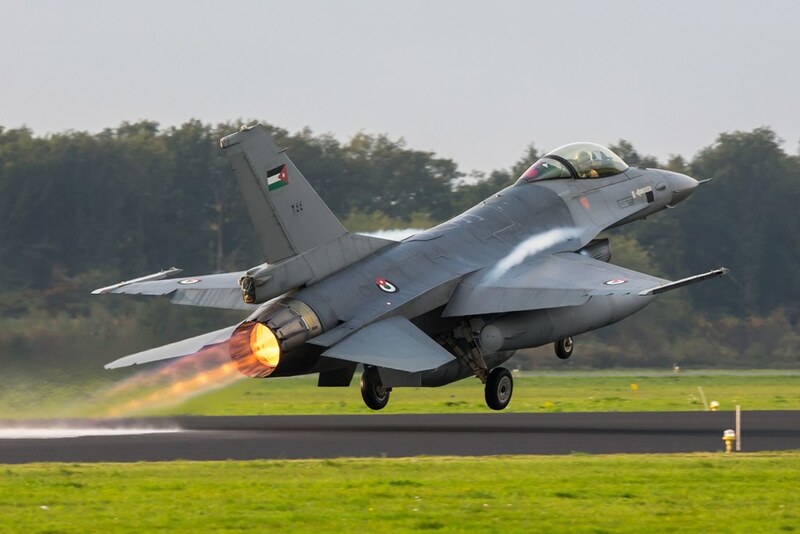 It was included in the agreement that Jordan signed with Belgium and Netherlands to acquire 20 F-16 MLU fighters (6 ex-Dutch Air Force and 14 ex-Belgian Air Force). In 2009 the Belgian government signed a further agrement with Jordan for additional 9 F-16s. (6 F-16AM and 3 F-16BM), all delivered in July 2011.